In overpopulated cities like Beijing, traveling by car can be a big pain. Traffic jams in the city has plagued this otherwise fast-paced city. The cherry on top is the rising level of pollution. Did you know that Beijing is the 76th most polluted city in the world? So how does the government keep traffic and pollution in check? By encouraging citizens to use public transport or bicycles to commute. Long gone are the days when people deemed cycles as the vehicle of the poor in China. Cycle enthusiasts and the Government are working on changing the perception of cycles. The Government provides bicycle-rental services across the city. But these government-run bicycle rentals are grossly inconvenient for the citizens. They require you to go to a specific place to register for the service. Also see in what all ways is China using QR Codes. 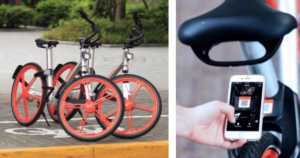 Now Mobike, a bicycle sharing app, has made the process of renting bicycles easy using QR Codes. 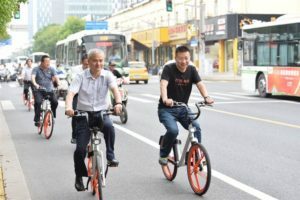 Mobike is expected to make it easy for commuters to rent cycles in Beijing. What do you think? Share your thoughts in the comments section below.